Gout is a painful problem caused when the body has too much urich acid it can't get rid of, so stores it in the joints where it crystallizes. These crystals are what cause the pain. 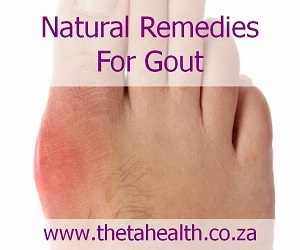 If you suffer from gout try one of our natural gout remedies. We have vitamin supplements, herbal remedies and natural health products to help with gout problems.